The Oregon wine industry and the Willamette Valley have come to be synonymous with American Pinot Noir. It didn't all start there though. 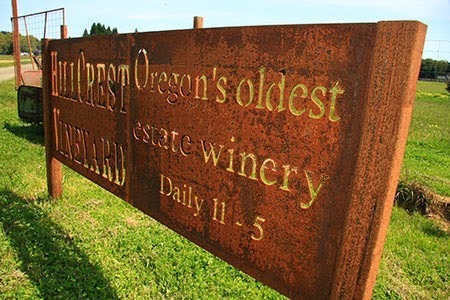 To find the birthplace of the modern Oregon wine industry you'll need to travel south on I-5 from what has come to be known as Oregon Pinot country until you get to the town of Roseburg. The Umpqua Valley is far more rustic and rough hewn than the Willamette Valley which now boasts several James Beard award winning restaurants but Oregon's modern day wine industry and the first Oregon Pinot Noir took root here in the Umpqua Valley before anything in the Willamette. If you've been to the Umpqua you were struck with it's natural beauty almost immediately. As a wine region it's still developing an identity however. In 1961 Richard Sommer planted Oregon's first post-prohibition vinifera grapes and founded the state's oldest estate winery in Hillcrest Vineyards in the Umpqua. As the story goes he found that site looking to plant Riesling specifically but over four years he would plant a myriad of grape varieties including Cabernet Sauvignon and the state's first Pinot Noir on a former egg farm near Roseburg. His first vintage came to market in 1964, with his first Pinot Noir appearing commercially in 1967. (There is an incredibly indepth look at Richard Sommer on the Prince of Pinot site here.) Sommer died in 2009 at the age of 79. In 2003 Dyson DeMara and his wife Susan purchased HillCrest from Sommer with the intent of carrying on Sommer's pioneering spirit. DeMara has an extensive background in winemaking with stints at California originals Pine Ridge and Mondavi. The HillCrest winery under DeMara is producing very small lots of hard to come by wines. The wines are not available in any retail market; you have to get them directly from HillCrest. DeMara is making wines of place with a sense of both the originality that Richard Sommer brought to the Umpqua and an old world style. The use of a basket press and a patented concrete fermenter hint at DeMara's seriousness when it comes to minimal intervention and old world technique. The lots they use are tiny and the wine is laid down in most cases a minimum of two years. Under many circumstances if you see a wine from 2008 on the market today from a region like the Umpqua that is still establishing itself you might get a little nervous. 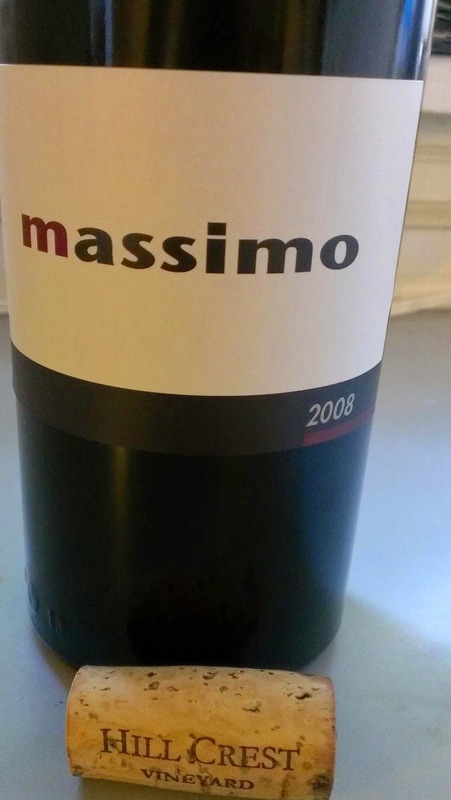 The 2008 Massimo Cabernet from HillCrest is the best wine, hands down I've had from the Umpqua Valley. So rest assured the wines of HillCrest are worth the difficulty to obtain. 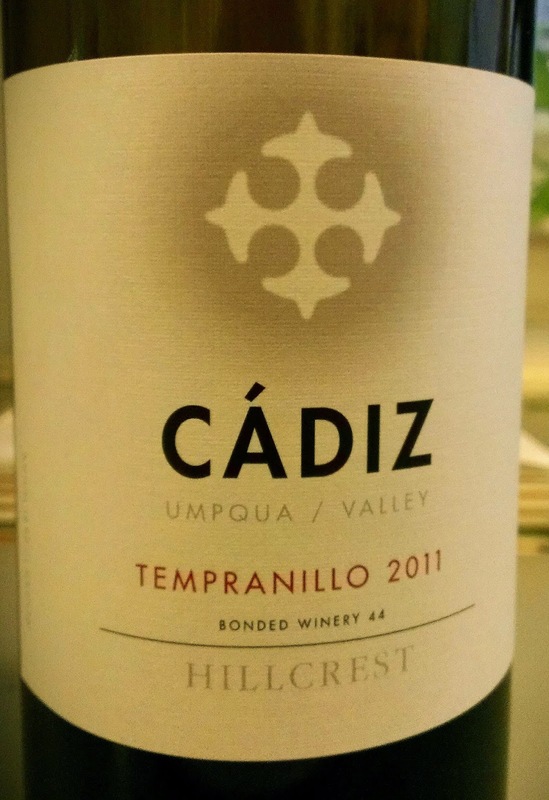 2011 Cadiz, Tempranillo Tempranillo has become part of the identity of the Umpqua Valley and this bottling is another good example of why. Tempranillo has been made in so many different styles but this cool vintage wine is floral, bright fruit and lots of elegance and great structure. Again the use of concrete fermentation accents a minerality in the wine, and it spend two and a half years in French oak barrels. At $28 this is a very nice wine for that price.